This challenge started innocently enough, with a tweet from Ana wondering if anyone would like to take on the GameAWeek challenge. Because of that tweet, and awesome group formed comprised of Melissa, Mark, and James. Since then our group has made a lot of games, and even presented those games at a conference! Time enough to travel was my first real attempt at making a point and click adventure from the ground up. I was feeling pressure from the time constraints of the game a week challenge and decided to draw on that feeling of time slipping away. I also had a lot of fun coming up with the sparse bits of writing (when am I ever going to get the chance to say the player died of bee stings like the dude from the movie ‘my girl’ again?). Plus, people liked to play it, so that’s always a good sign. 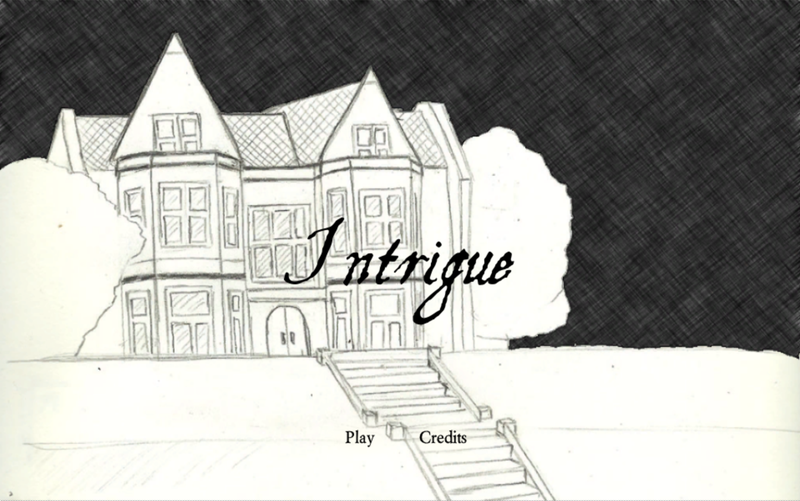 I loved doing the art for intrigue. 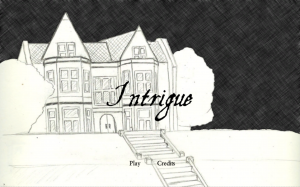 I always wanted to do something that had a Edward Gorey-esque style to it. 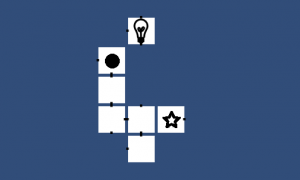 I also love logic puzzles, so it was a no brainier to combine the two for a mystery game. 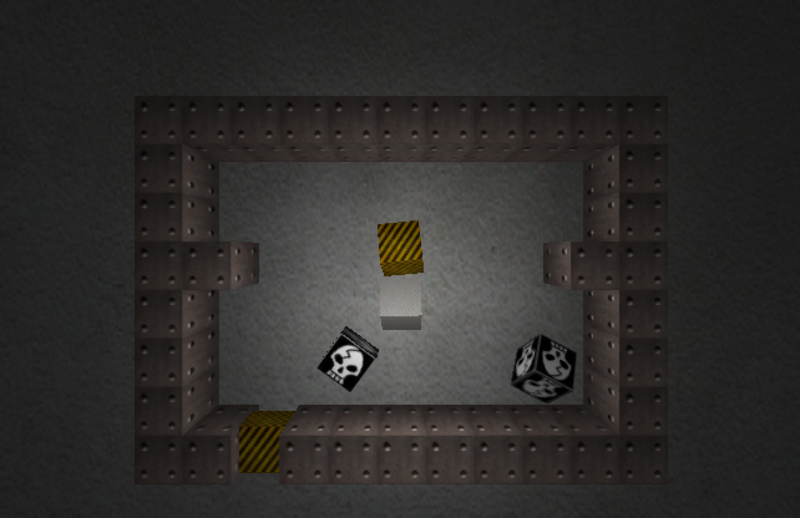 It’s also the only game a week game that I’ve made a sequel for. I really like the flexibility of this game. 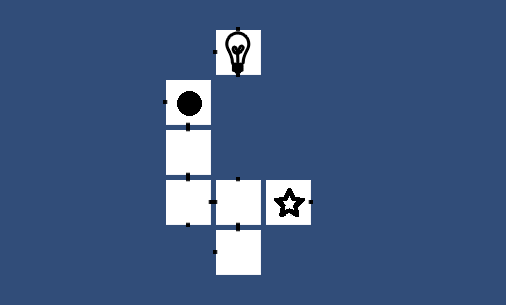 Mental Block is a gravity based puzzle game where all objects on the screen move at once and you control where gravity is pointing (up, down, left, right). 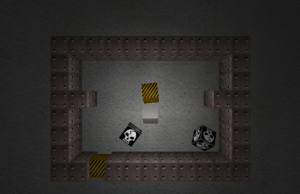 The rooms were fun to make because they’re all written as text files that are interpreted by the game loader. If i could make a change to this game, I’d try to add a twitter component so that players could tweet levels to one another. Hello, Universe was the first game a week game that I entered into a game jam. The theme was “Space Cowboy” and I tried to think of a cool way to mix the western tropes with some more modern tech. 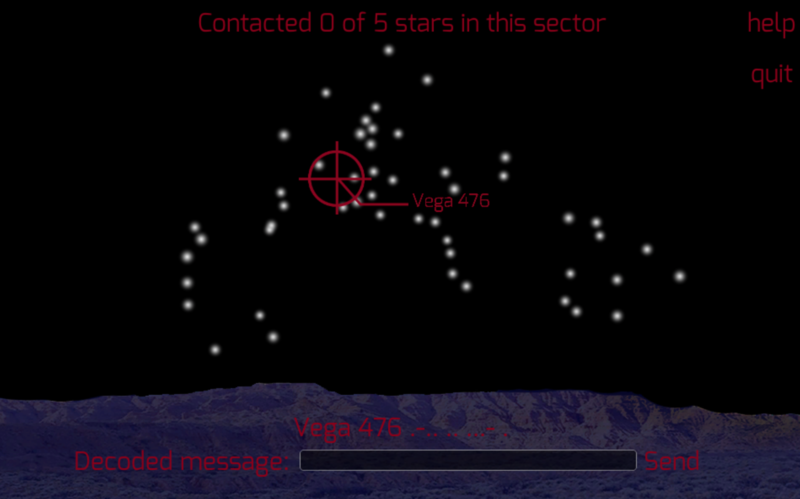 I decided on making a game where, after a hard day of work, you sent messages to star clusters using morse code. 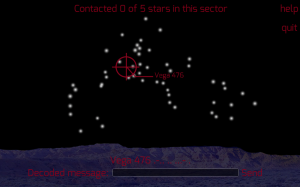 The game was difficult but had a cool ‘a-ha!’ moment when you made contact with the first star cluster. It placed at #21 just shy of the top twenty. It was also the first of my games to get a ‘let’s play’, so that’s cool. Amazing is one of those games that only a mother could love. If there’s any game on this list that really needs a remake, it’s this one. I like the mechanic and it gets really difficult after a while. With more polish, I think this game could really shine. I also really liked Ask the Fireflies, but it’s a bit less game-y and more atmospheric.